A wet week in Lanzarote is a particular kind of penance most of us have endured at some stage. An Irish rite of climatic passage, it presents as a testing experience adorned with endless grey skies where azure blue was promised and frigid evenings where balmy breezes are a stranger upon shivering thighs. But it can always be worse, such as an Airbnb without wifi for Netflix - a desperate fate that even red wine at €3 a bottle won't improve. This was the dilemma confronting us on a recent sojourn in the Canaries, holed up in a German-owned apartment where even left-behind paperbacks offered only a literary tower of Babel wrapped in double Dutch and bewildering Bavarian. It was a scenario that vividly recalled the Groucho Marx comment: "From the moment I picked up your book until I put it down, I was convulsed with laughter. I might even try reading it some day." Driven to distraction as another gust of rain splattered on our Puerto del Carmen balcony, my search for salvation finally unearthed the only English language book in the place, Mario Puzo's 'The Godfather'. Having seen the 1972 film for which Marlon Brando won an Oscar for his incomparable Don Corleone, I poured a decent midday glass of ruby rotgut and settled in to turn the pages on a journey to the dark side of the American dream. Published 50 years ago this month, Puzo's masterpiece remains one of the best-selling books of all time - and with many of its lines having passed into popular parlance. "I'll make him an offer he can't refuse" and "It's not personal - it's strictly business" are just two examples still heard everywhere. In those lessons for life, Don Corleone set the standard for power brokers everywhere: "A lawyer with a briefcase can steal more than a man with a gun" and "Revenge is a dish best served cold." 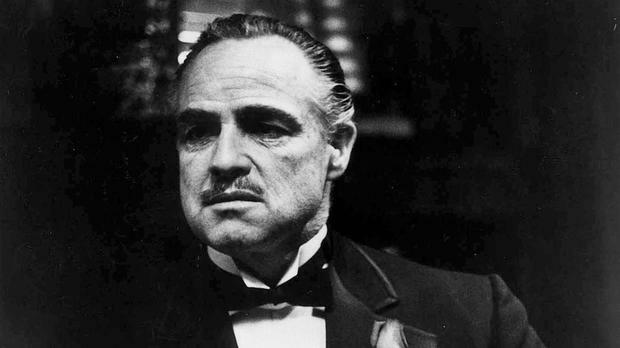 Interestingly, Puzo credited his mother as the inspiration for many of his most memorable lines: "Whenever the Godfather opened his mouth, in my own mind I heard the voice of my mother - her wisdom, her ruthlessness, her unconquerable love for her family and for life itself." Maternal life lessons like, "keep your friends close and your enemies closer" are universal and could well have dripped from the loving lips of my own Kerry mother. Life really does imitate art, and gangsters are no exception with copies of 'The Godfather' frequently turning up from FBI raids on mobster homes. Puzo's text became so popular, it attained a training manual status among the real-life racketeer and hoodlum fraternity - as author Tim Adler noted in his book, 'Hollywood and the Mob': "The Godfather changed the way the Mafia regarded itself and rehabilitated gangsters into men of honour instead of what they really were - pig-ignorant, violent goombahs." 'The Godfather' legend continues to this day and even circled the current White House, when Roger Stone, a longtime Republican strategist and close friend of Donald Trump, recently advised an indicted associate to "do a Frank Pentangeli" - referencing a character from the story who committed suicide rather than spill the beans on his criminal pals. That the book and film have remained so popular for so long is clearly down to more than just its well depicted bouts of blackmail, thuggery and machine-gun assassinations. Even law-abiding citizens can surely find useful wisdom in 'The Godfather's' life tutorials - building friendship on trusted respect and never reacting too hastily on emotional issues just two insights worth minding. More than anything, though, it's about the bonds of blood and the importance of ancestry: "You can do anything, but never go against the family."